The six main religions disagree on how many times you should forgive someone- but they all agree on one thing and that is forgiveness is a good thing- for your own peace of mind if nothing else. In time forgiveness is often possible once we have had the space needed to process our feelings, but forgetting is much more difficult. Like it says in the quote below – we actually may need to remember what we have learnt from the experience; and this sometimes may involve ending toxic relationships if they are harming us. However forgetting is also difficult to do because we don’t really have any control on the thoughts that pop into our minds, but we can decide how we respond to those thoughts- a negative train of thought may pull up in the station of our mind and sit there next to the platform, but we can choose whether to get on board or not; and if we choose not to get on board, that train will eventually leave the station. It may come in again the next day- but we can deal with it in the same way. 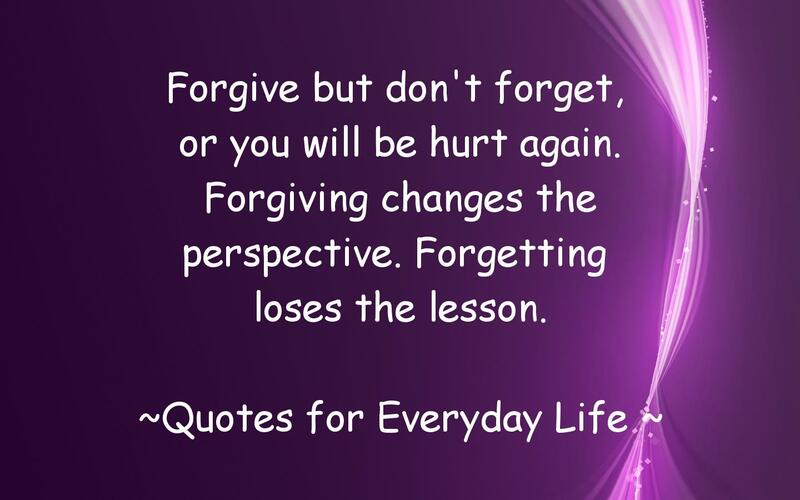 This entry was posted in Jacqueline and tagged forgetting, forgiveness, negative thoughts. Bookmark the permalink.